FlaminGirl's recipes! #105 - Vegan DonutssteemCreated with Sketch. For this opportunity I bring you a delicious recipe for those vegan gluttons who love to eat sweets without jeopardizing their health, it is also suitable for almost all types of people, although I do not recommend if you are celiac because we will use wheat flour. Apart from this, I find a very healthy recipe and that if prepared with the original ingredients such as cow's milk or butter would be a time bomb for our health. 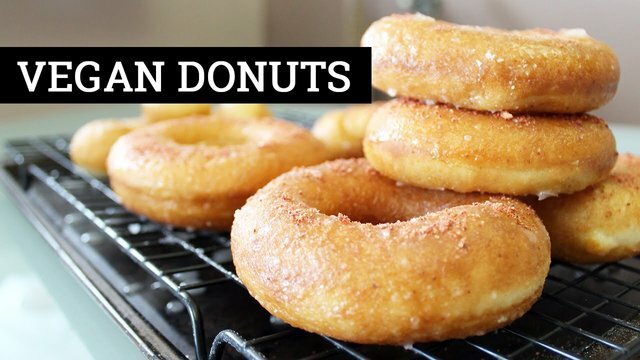 I'm talking about delicious vegan donuts. Accompany me to prepare this delicious recipe. The first step for our vegan Donuts, will be to choose a good pot to temper the soy milk, for it we will throw the milk and then the yeast and mix until it incorporates well with the soy milk, we will heat only a little, enough so that it is warm, then we will leave resting for about 15 minutes, transfer the milk to a container where it can increase without spilling. While the milk rests, we will look for a big bowl where we will throw the flour, the sugar that this case is syrup of agave and the salt and finally we will have to melt the vegetable margarine to incorporate it to the mixture, we will be mixing and finally we will place the milk, the idea is to mix little by little, so I suggest to go very slow with this step. The idea is that we have a manageable dough that does not stick to our hands. The next step is to let the dough rest for a lapse of 35 minutes in a container with a kitchen cloth, I suggest you do the following trick, which is to place the container with the dough into the oven and give a heat stroke at 50 degrees Celsius for 5 minutes and turn off, this will help the yeast ferment faster. The final result will be an increase of almost double the dough. Now knead again, in an inn with plenty of flour, and stretch enough until we are a centimeter thick and we will devote ourselves to make the shape of the doughnuts with their respective lids always one larger than the other. After having all the donuts prepared we will let them rest for about 45 minutes in a tray with enough flour sprinkled so that it does not stick to the surface. The next step is to choose our best frying pan, throw a generous jet of oil and heat very well to high heat first and then take it to a high temperature but controlled, is when we place the donuts to be fried one by one, the idea is to leave them golden, but without neglecting that parts are left uncooked, there is nothing more unpleasant than eating something made with wheat flour and has been left raw. After they are ready you can place them on absorbent paper to remove the excess oil. Then let them rest until they are at room temperature, and then start with the coverage of the donuts, it's easy and fun, maybe what takes more time is the preparation of the dough, but if we put heart we can be patient because the result is simply spectacular. 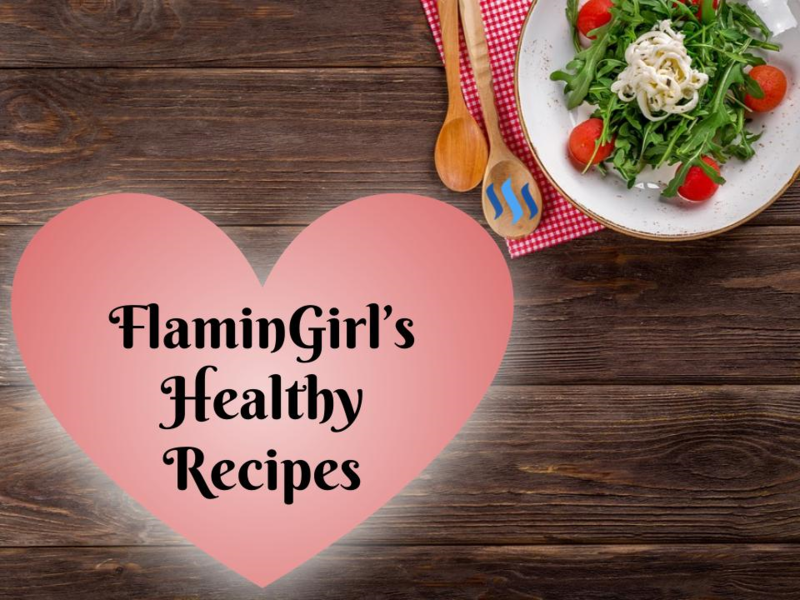 Don't miss the FLAMINGIRL'S LASTEST RECIPES! I hope you enjoyed reading this post. If you liked this recipe, don't hesitate to FOLLOW ME, to UPVOTE and RESTEEM. Thank you for your support, thanks to you I am more and more motivated to write! 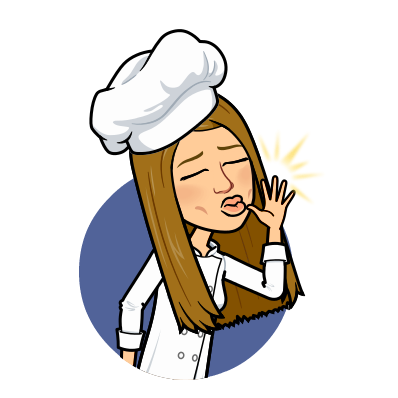 See you soon for a new recipe! Saya kepingin kue nya kakak untuk saya makan boleh?